The Wisconsin Farm Bureau Federation applauds Governor Walker’s signature of a bill that makes improvements to law that allowed farmers to legally operate their farm machinery on roadways. 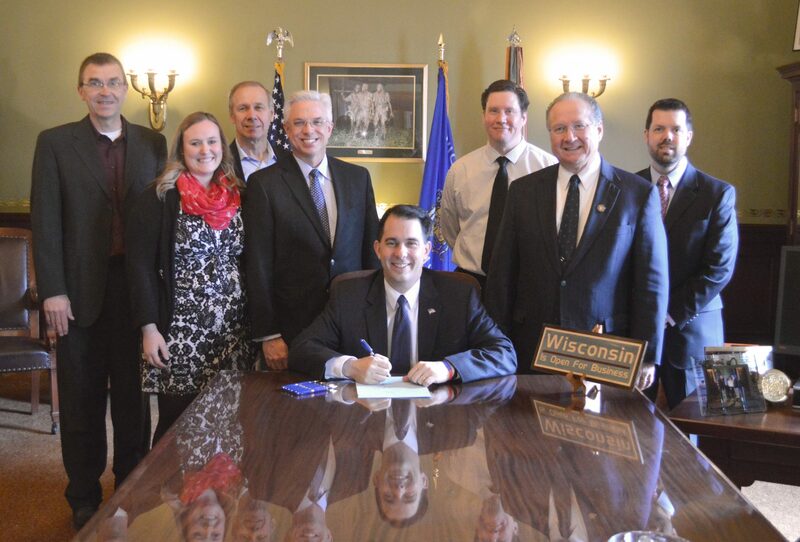 “Today Governor Walker, behind the legislative leadership of Senator Jerry Petrowski and Representative Keith Ripp, signed Assembly Bill 113 into law and initiated the second phase of the implements of husbandry law,” said Jim Holte, Wisconsin Farm Bureau Federation President. Clarifies in state statute that IOH with rubber tracks can legally operate on Wisconsin roadways. To alleviate the potential issuance of thousands of permits across the state, it authorizes an IOH or (agricultural commercial motor vehicle) Ag-CMV being legally operated with a permit to cross any intersecting highway under the jurisdiction of the maintaining authority that issued the permit. Provides the same weight, length, width and height limitations for transporting IOH by trailer or semitrailer from farm-to-farm, from field-to-field, or from farm-to-field to the same extent as if the IOH were being operated on the roadway. The special axle weight exemption given to Category B planting, tillage, cultivating and harvesting IOH is also given to Ag-CMVs that directly distribute feed to livestock, or directly apply fertilizer, lime, spray or seeds, but not manure, to a farm field. 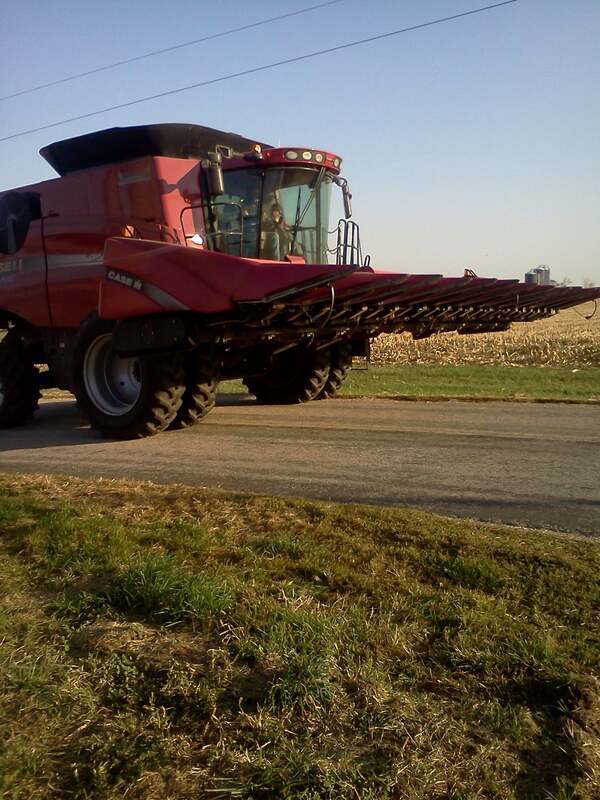 Ag-CMVs that have the capability to directly apply manure to a field, but are unable to due to field conditions, will be able to park on a road and off-load the manure to another piece of equipment for application, and still retain Ag-CMV status. Earlier this month the State Senate and State Assembly unanimously approved Assembly Bill 113. The Wisconsin Farm Bureau Federation is the state’s largest general farm organization, made up of 61 county Farm Bureaus and representing agriculturists and farms of every size, commodity and management style.